The Peak Fire began as firefighters continued to battle two other large fires in Southern California. Water-dropping aircrafts were used to attack a brush fire that climbed a hillside to the edge of the 118 Freeway Monday in the Simi Valley area, but by the afternoon, crews got a handle on the blaze freeway lanes reopened. The Peak Fire was reported at about 10:30 a.m. near the Rocky Peak Road exit. 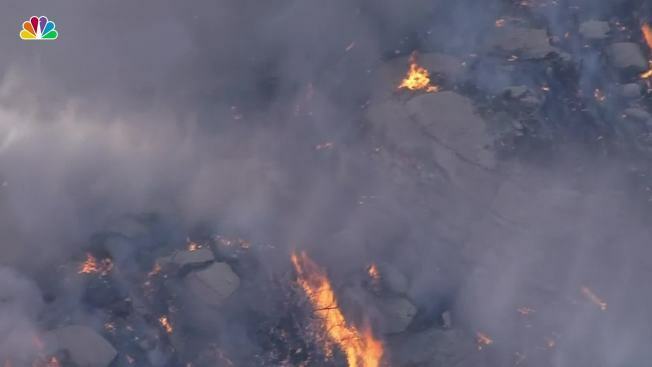 Aerial video showed flames burned up a hillside to the edge of the freeway. At least two water-dropping helicopters and a firefighting airplane were at the scene as confused commuters attempted to turn around on lanes and drive the wrong way on the 118 Freeway. 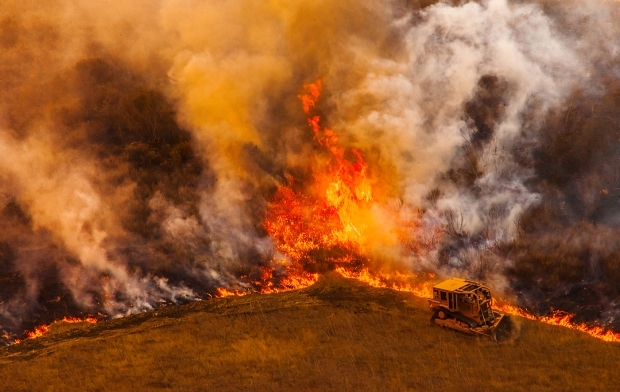 It scorched 105 acres in all. Areas of Box Canyon and Lake Manor were ordered to evacuate. The freeway was closed due to fire and smoke, which was drifting across the road. By 2 p.m., the California Highway Patrol said all westbound lanes were open, while two lanes on the eastbound side were open. Other eastbound lanes were to remain blocked as crews mopped up what was left of the fire, nearly all contained by the afternoon. The fire is not considered part of the 91,500-acre Woolsey Fire, which began last week in Ventura County. 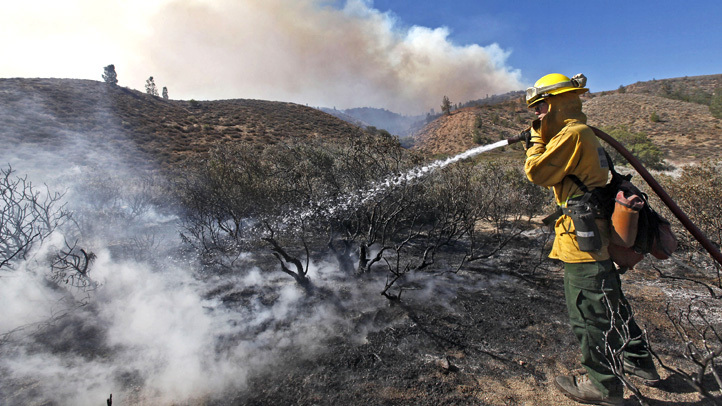 That fire, which burned into the Malibu area, is 20-percent contained. It has destroyed an estimated 370 structures.